Over on YouTube user kugellagers has uploaded several videos showing how he used two vertical antennas together with an RTL-SDR and ham-it-up upconverter to demonstrate the effect of using a Quantum Phaser to null out strong interfering signals that can cause trouble when DXing. A Quantum Phaser is a device that combines signals from two antennas in order to create a steerable null. Essentially this means that a strong nearby station coming from one direction that is overlapping a weak remote station coming from another direction can be heavily attenuated, allowing the weak station to come through. In his videos kugellagers demonstrates the Quantum Phasers nulling effect with splatter from an AM station, an overlapping IBOC hash signal (AM HD Radio) and Non-Directional Beacons (NDBs). Over on YouTube user w2aew has uploaded a video tutorial explaining how filtering in an upconverter works. In a previous video w2aew explained how a simple upconverter for the RTL-SDR worked and noted that for best performance the upconverter needs three filters, one preselector at the input, one after the local oscillator and one after the mixing stage. In this video w2aew takes a Nooelec Ham-it-up upconverter which has the three filters mentioned above implemented and scopes the output after each filter to show their effect on an input signal. Over on YouTube user Mile Kokotov has uploaded a video showing his reception of the ALPHA Russian Long Range Navigation System on Very Low Frequency (VLF) in Macedonia using an RTL-SDR, Ham-it-up upconverter and a Mini-Whip active antenna. 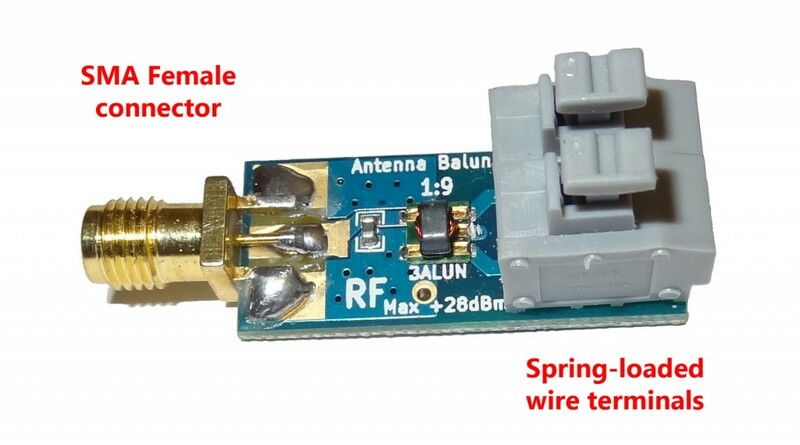 Mile also uses a band pass filter and notch filter to improve the dynamic range of the RTL-SDR. Additionally, in the video he shows a comparison between a large delta loop antenna and the mini-whip active antenna which shows better performance by the mini-whip. 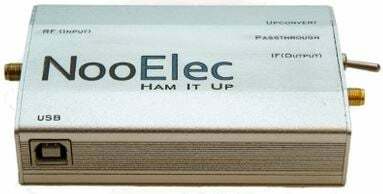 Nooelec, manufacturer of the popular Ham-It-Up upconverter has now begun selling metal enclosures for the upconverter. 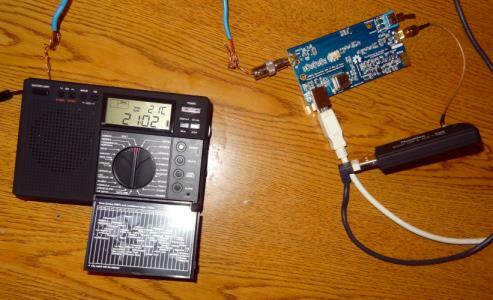 The Ham-It-Up is an upconverter which allows the RTL-SDR to receive HF (0-30 MHz) signals. Metal case helps to protect PCB from stray EMI, improving sensitivity. Includes all required hardware to mount your PCB! Ample room inside the case to make modifications and even include a dongle inside the case if you are so inclined. Akos from the SDR for Mariners blog has put together an article doing a comparison between the RTL-SDR + ham-it-up upconverter and a Grunding G8 Traveler II Digital conventional portable hardware shortwave radio. His results show that the RTL-SDR and portable receiver are comparable in terms of performance, with a slight edge to the RTL-SDR. 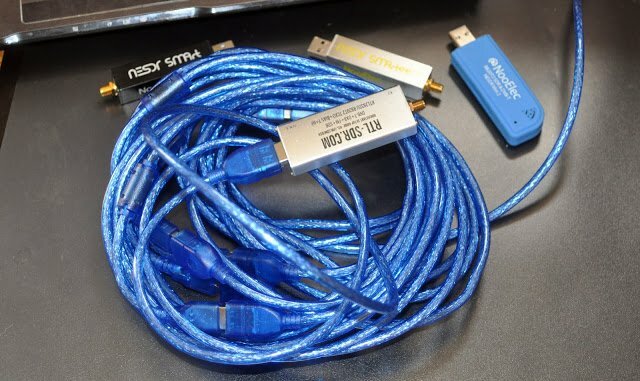 He adds that software tweaks available in SDR# can improve the voice quality for the RTL-SDR. However his final recommendation for general shortwave listening is that the portable is still the better option due to it’s ease of use.